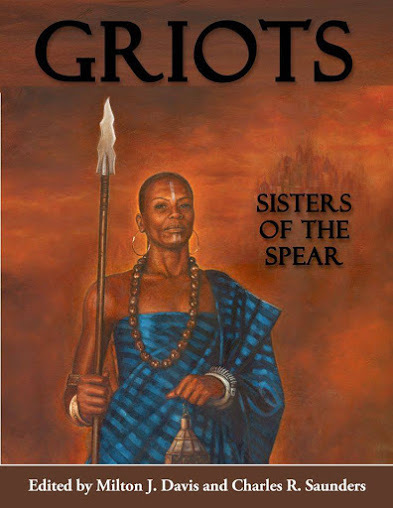 Not long ago a friend remarked that I’m very prolific, citing that since 2011 I’ve published 6 novels and 7 short stories, with two more stories and another novel on the way. I don’t know. Is that being prolific? I don’t consider myself to be prolific. I know people who publish 2 or 3 novels a year. I can’t even begin to tell you how long it took me to write Mad Shadows: The Weird Tales of Dorgo the Dowser. But I can say that it took me 3 years to write the sequel, Mad Shadows II: Dorgo the Dowser and The Order of the Serpent, and three or so years to write my forthcoming novel, The MechMen of Canis-9. Hell, it took me 6 months one time just to write a 25-K word novella. Prolific? Not really. But I’ll tell you a secret. I started writing in 1973, and I wrote a short story each month for over a year. Every one of them got rejected for various reasons. In retrospect, they were pretty awful. But I hung onto them anyway and filed them away. I knew there was a seed or a spark in each of them that could evolve into something else, something different and better, as time went on. 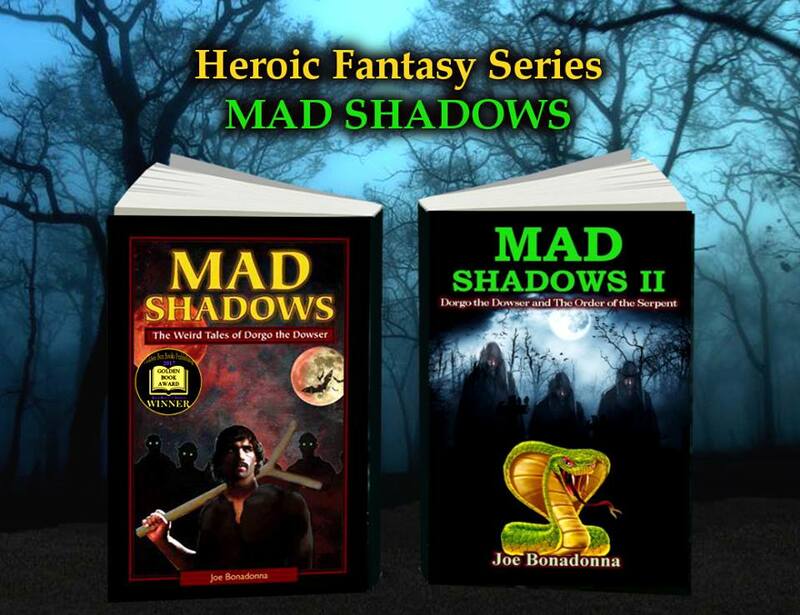 The only story I wrote and tossed into the trash, other than things I’d written in grade school and high school, was the original version of Mad Shadows. This was not the story that starred Dorgo the Dowser. No, this was an entirely different tale, with different characters and a totally different plot. Around 1977 or I submitted it to a number of professional magazines, such as Analog, Fantastic, and The Magazine of Fantasy and Science Fiction. Everyone rejected it: old-hat; just another sword and sorcery tale; all plot based around cardboard characters. Mind you, for all the criticisms there were also helpful tips, suggestions, and plenty of encouragement to keep trying. Now, I didn’t throw the manuscript away out of anger and disappointment . . . I tossed it into the trash because I rewrote it over and over again, changing the plot, changing the “McGuffin,” and finally settled on Dorgo as the main character. For over ten years I also labored over a 1000-page fantasy epic: Courier font, 12 characters per inch. That’s about 300 words per page, I think. Finally, I knew it was too unwieldly for my meager talent, too unmanageable; the damn thing had become my own Frankenstein’s monster. I then moved on to trying my hand at writing screenplays, which was a great learning experience I recommend every writer try. But I never threw away that 1000-page monstrosity. Nope. I mined that sucker as if I was mining for gold. 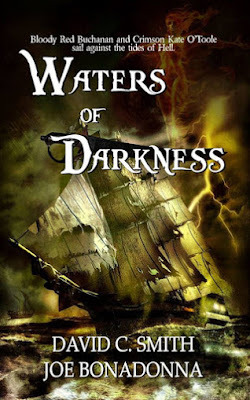 Two long chapters eventually evolved into the novellas, In the Vale of the Black Diamond and Blood on the Moon, both of which appear in Mad Shadows 1. One other story I’d written during that year-long writing binge also ended up in MS 1: The Man Who Loved Puppets. Another later appeared in Mad Shadows II: The Girl Who Loved Ghouls. 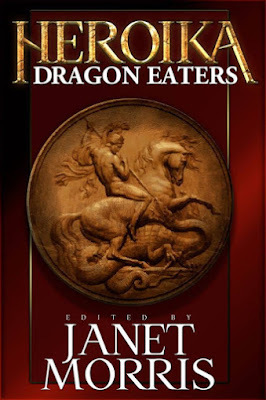 Another story became The Blood of the Lion, which was published in Griots II: Sisters of the Spear, and one more turned into The Dragon’s Horde, for Janet Morris’ Heroika I: Dragon Eaters. Pieces and parts from various unfinished projects ended up as chapters in Dave Smith’s and my sword and sorcery pirate novel, Waters of Darkness. As for the screenplays I wrote? I penned five during a 5-year period? 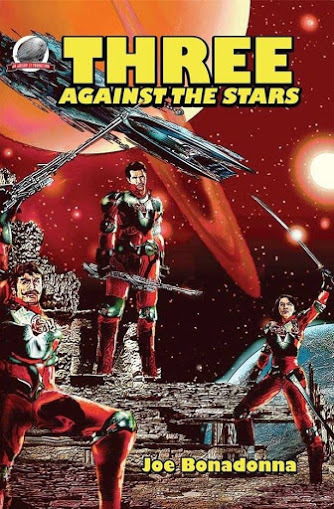 My space opera, Star Trooper Doon became the novel Three Against The Stars. 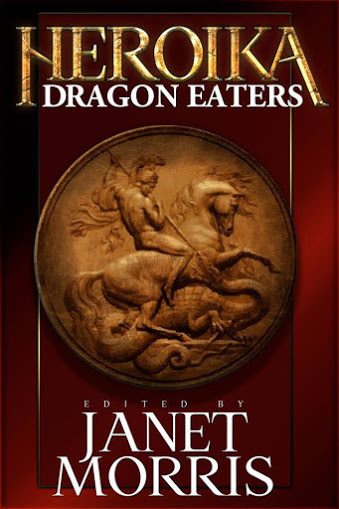 Then I turned my silly satire, Sinbad’s Summer Vacation into the more serious and dramatic novella, Sinbad and The Golden Fleece, which was also published in Sinbad: The New Voyages #4. Another screenplay became the Dorgo the Dowser novella, The Order of the Serpent, which is part three of Mad Shadows II. A fourth screenplay turned into the three-year project, The MechMen of Canis-9, and another unpublished novel, The Last Warlock, not only was mined for MechMen, but for a number of other stories, as well. As for the fifth screenplay . . . well, that’s a somewhat interesting story. In 1997, years before the zombie craze exploded like a nuke, I wrote a screenplay called Twilight of the Dead. Naïve me . . . I intended it to be a sequel to the late George Romero’s third “living dead” film, Day of the Dead. I even managed to get in touch with Romero’s agent, who kindly replied that Romero already had a number of films on the drawing board. The agent told me that, as Romero holds no copyright over the use of zombies, and as long as I didn’t use any of his characters or referenced any of his films, I should shop the script around because he and Romero believed a “zombie boom” was about to break big. So I shopped it around, as I did with all my scripts, but nothing happened. Later, I read that Romero was thinking of calling his fourth flesh-eating epic Twilight of the Dead. So I changed my title to Children of the Grave, taking it from an old Black Sabbath song. (Since then there have been one film and at least one novel with that same title.) Someday, hopefully, if I can come up with a good hook, something not yet done, I’ll turn my zombie script into a novel, too. So what has all this to do with anything? Nothing. Everything, as Saladin (Ghassan Massoud) says to Balian de Ibelin (Orlando Bloom) in Ridley Scott’s masterpiece, The Kingdom of Heaven. My point is — my novels, short stories and many of my novellas might never have been written, had I not mined my “writing past” for the sake of my writing future. And that 1000-page, heroic fantasy magnum opus? It will be mined again and again for material until there’s nothing left of it. In fact, about 25-K words of it, perhaps more have already been used for Mad Shadows III: Dorgo and The Heroes of Echo Gate. 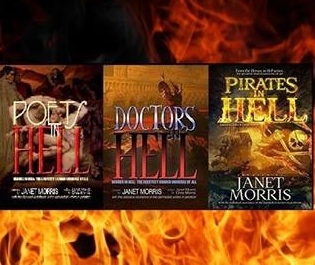 Only a few Dorgo the Dowser tales, Erika M Szabo’s and my 2-volume Creepy Hollow Adventures, and the stories I write for Janet Morris’ Heroes in Hell series have been written from scratch. What I’m saying is — your words are precious. They come from your heart and soul, from the very core of your being. They’re born of your blood, sweat and tears. Save everything you write. Store it away for the future. While today’s words may not glitter right now, tomorrow they just might turn out to be gold. So don’t throw the baby out with the bath water. Oh, how I wish I had saved that very first version of the Mad Shadows. That’s why now I never throw anything away.